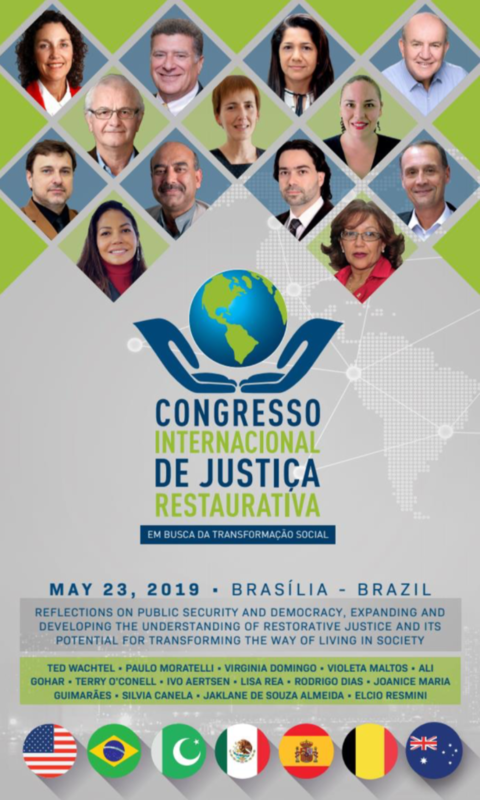 RJI encourages our supporters and affiliates to come to Brasilia, Brazil on May 23 for the International Congress on Restorative Justice sponsored by Coonozco, the Scientific Society of Restorative Justice, RJI and others. There is a robust line up of excellent international restorative justice experts who will present at this upcoming Congress. Lisa Rea, President and Founder, of RJI is one of the invited speakers. Others include RJI Global Advisory Council members Terry O’Connell (Australia) and Virginia Domingo (Spain). Please consider coming and learning from the best in this field. Not to be missed. For more information contact the sponsor on this announcement. More details to come. Very tempting … as I will be working in Colombia from the 27th May on a restorative project with youth offending … hmmmm … scratches chin thoughtfully! !